Autumn Swain had her heart set on going to Cornell University. She dreamed of enrolling in the Ivy League school in Ithaca, New York, where she had done a summer program as a high school student. 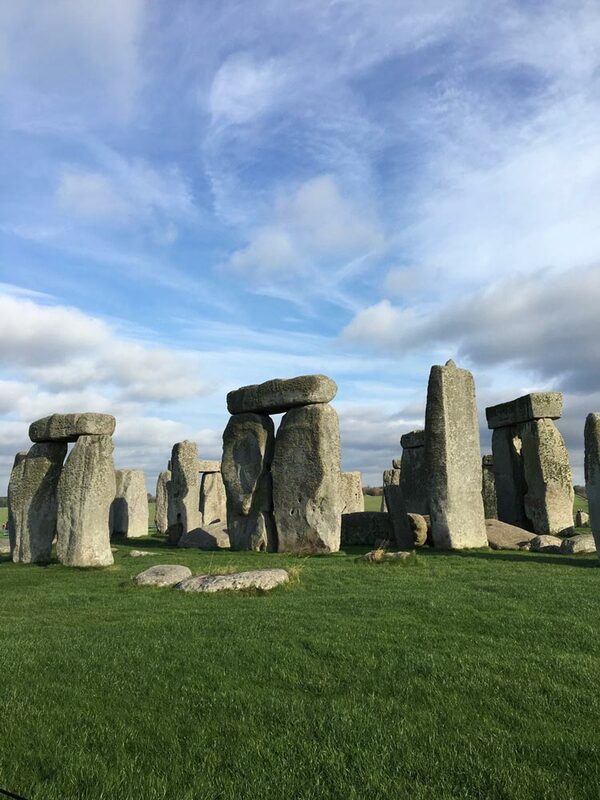 Then she learned about an innovative new study-abroad program tailor-made for first-year students at the University of Virginia, in which incoming students spend their first semester studying in London before moving to Grounds for the spring semester. That sealed the deal; Swain enrolled at UVA and headed straight for the U.K.
“There was no hesitation. I was going,” she said on a call from Stafford, where she grew up outside of Fredericksburg. Swain was one of 24 students who signed up for the inaugural year of UVA’s “London First” program. Instead of heading to Charlottesville late last August, she moved into a room at Regent’s University, which is nestled in a park in the center of London. Swain will tell you excitedly that she is wholly consumed by wanderlust. Hearing about her time in London drives home that point. When not studying, she and her roommate did a lot of independent travel. “We went to Ireland, Northern Ireland and Paris together,” she said. Swain also hit Wales and Edinburgh after her finals in December. She also enjoyed the academics. UVA English professor Michael Levenson, director of London First and a dedicated Anglophile, taught Swain’s “Engagements” course, which is part of the College of Arts & Sciences’ new curriculum and required for the program. “We read King Lear and then went to Shakespeare’s Globe Theater and saw the play,” she said. The other UVA-taught class was a writing course required for first-year students. Taught by instructor Casey Ireland, students wrote about the books and plays they read in Levenson’s class. Swain rounded out her academics with courses on photography, the history of London and an introduction to political ideology. Swain said her favorite class was photography. Taught by a Regent’s professor, she liked it so much because she got to use a nice camera the entire time she was abroad. “It was fantabulous. I was allowed to take the camera outside class,” she said. “I absolutely loved London First! 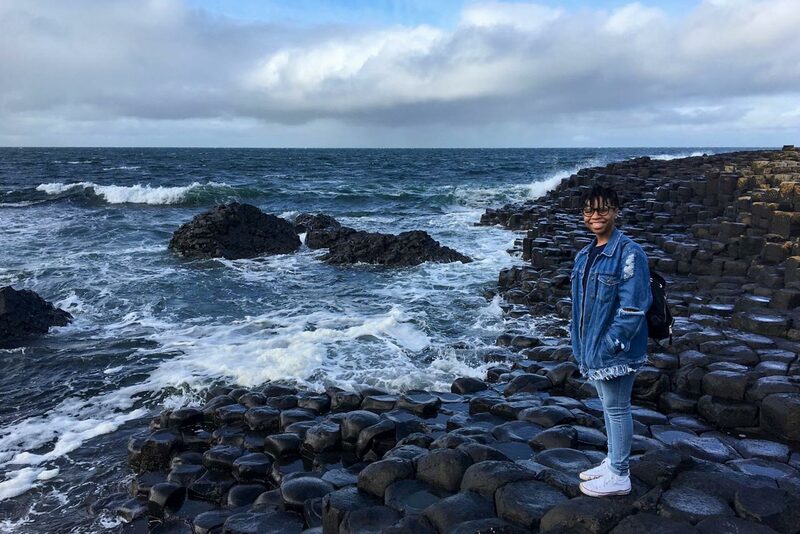 “I was going to be one of the first students to experience studying abroad their first semester, so I was all for it,” she added. Swain is such a believer in the program that she persuaded her younger sister, Angel – an entering first-year student this year – to sign up for London First. She will spend her first semester there this fall. Autumn told Angel about everything: the academics, the travel and the delicious food. Angel Swain leaves for London in September and said she is looking forward to the semester. “There was a little question where I was like, ‘Should I just go to UVA?’ But then I was like, ‘OK, I’m going crazy. I just need to go to London,” she said. The girls’ legal guardians are their grandparents, Dorothy and Zebedee. The couple plans to visit London and Italy this fall as well. Autumn’s London First class is so enthusiastic about the experience that they created a new club, the Global Citizen Initiative. Members of the inaugural class will mentor this year’s group throughout the program. This year’s second cohort of London First students numbers 23. Levenson is raring to go. “Speaking as program director and long-time instructor in London, I can say with great conviction that the first year of our London First counts as a fully transformational experience,” he said.